The harsh, cruel winter had come to a calm end. The roaring winds from the sea of Japan quieted to a whisper, and the walls of snow melted down into the nearby Shinano River, flowing along the rice fields and out into the open sea. The locals opened their windows to welcome in the fresh air of a spring long awaited, the sun a welcome sight from the months of grey skies and winter storms. 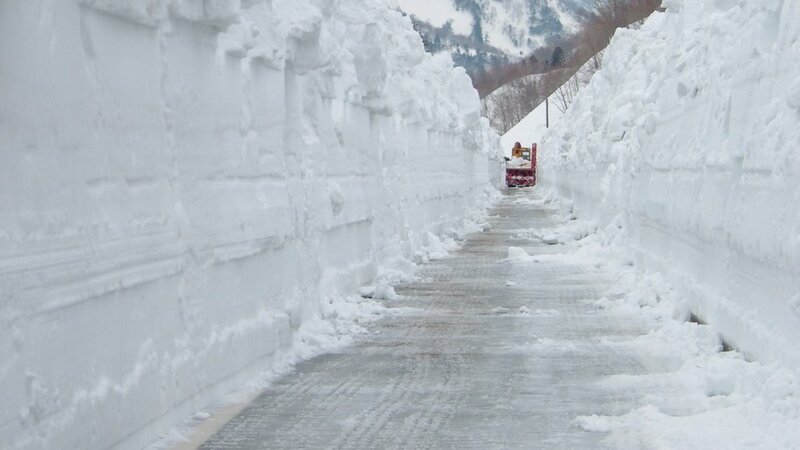 In yukiguni—or snow country, as Niigata prefecture is famously known thanks to the Nobel prize winning book of the same name—winters can bring up to seven feet of snow fall. Yet in the spring, this white world of snow turns into a landscape of cascading pink with the bloom of Japan’s infamous cherry blossoms. 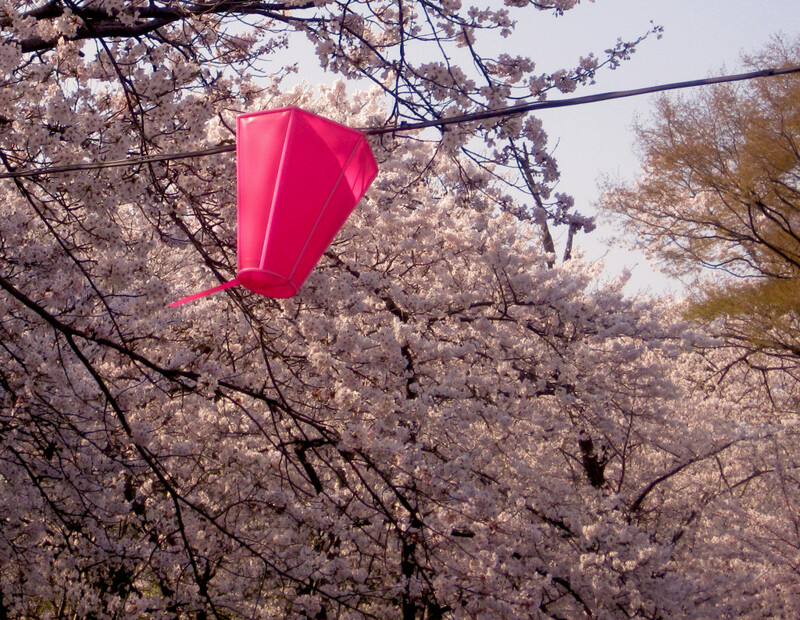 I walked through the soft, rosy glow of hundreds of cherry blossom trees (known as sakura) during mankai, or full bloom. The spring breeze gently carried sakura petals floating through the air, creating a cascading veil of pink in all directions. Japanese festival stalls were set up on the side of the road, the smell of freshly grilled noodles, or yakisoba, wafting through the park. 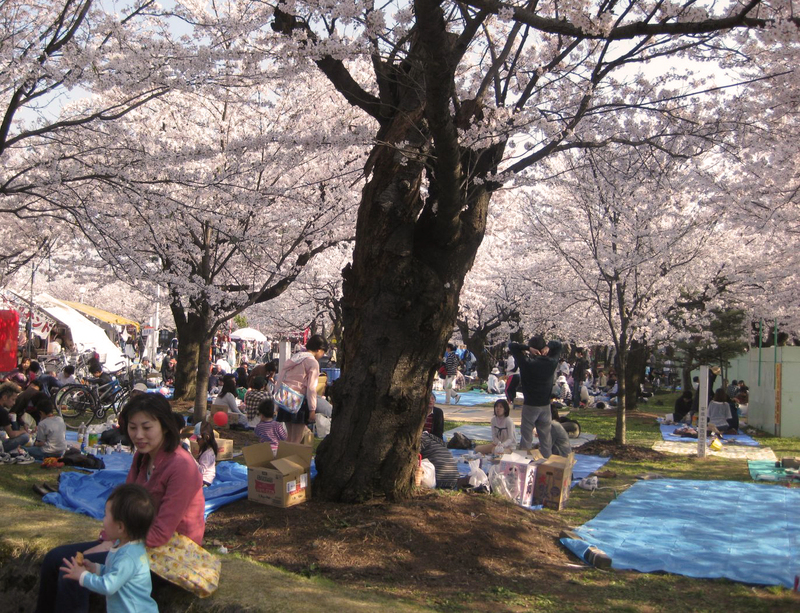 Locals camped underneath the cherry trees with bento boxes and beers in hand, smiles and laughter in the air. After surviving yet another winter in snow country, I’m sure the locals and I felt much like the sakura themselves: reborn in the dawn of spring. I was in Takada Park in Joetsu City, which was formerly ruled by Matsudaira Tadateru, the sixth son of Tokugawa Ieyasu. Takada castle and the park was built in 1614 and has since become one of the top ten cherry blossom-viewing locations in all of Japan. With visitors flocking in from surrounding cities and prefectures, Takada Park draws a crowd of over one million visitors per year. As I crossed the wooden, red lacquer bridge over the lotus flower lake and headed toward the castle, I couldn’t help but think of my Japanese literature courses from college and a fundamental theme that seemed to be interchangeable with the sakura themselves: The concept of mono no aware, or the transience of all things. It is the belief that divine beauty is in the fleeting–in the melancholy yet gentle experience of appreciating what will soon be gone. 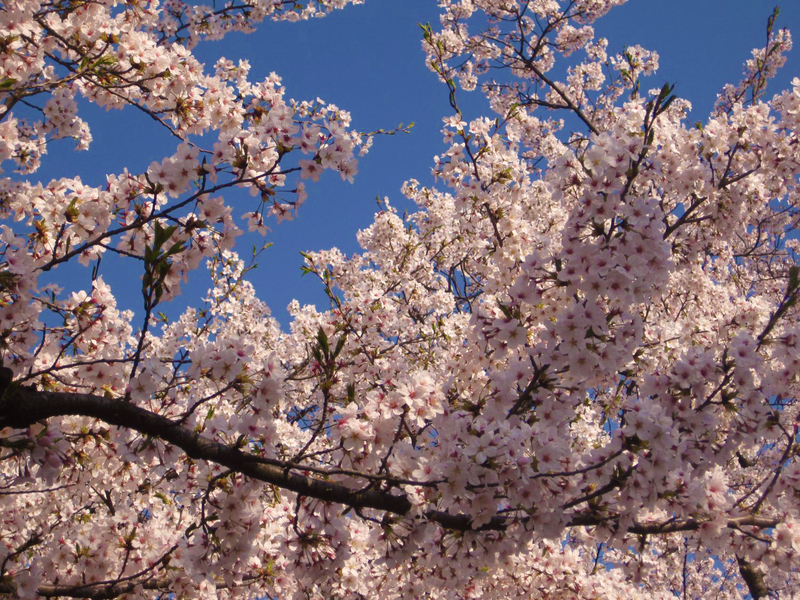 While the cherry blossom is exquisite in color, shape and form; it is so celebrated because it comes only once a year, blooming for a mere two weeks. The sakura is beloved because we know that, like spring and so many other things, it will soon be gone. While the winters of snow country were harsh and relentless, the exquisite beauty of Niigata’s cherry blossoms made it all worth it. Only with the cold do I know just how warm and loving the spring truly is. As cherry blossom season currently waves through Japan (last week of March through the first of April), I close my eyes and remember the scattering pink petals of those crisp April days; the warmth of a new sun, the laughter of children running through the park, the feel of fresh air flowing through my lungs and the sweet, sweet taste of a cold Asashi on a fresh spring day. 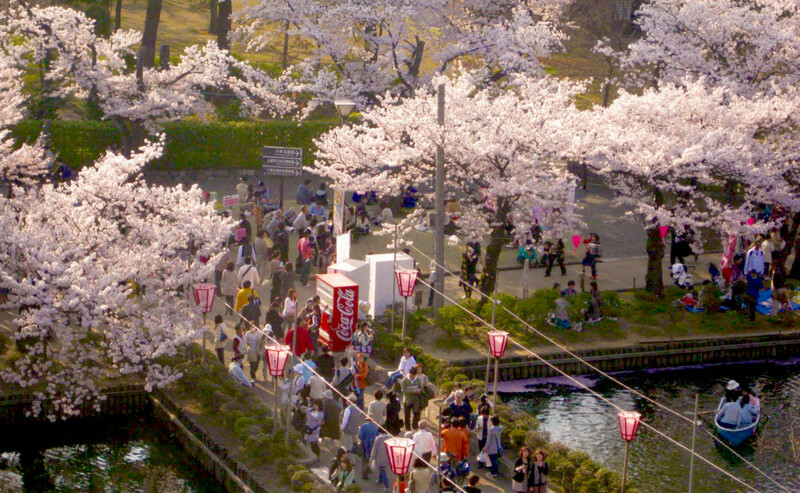 It’s no surprise that cherry blossom season (end of March through April) is the busiest time for tourism in Japan. The parks are packed, the hotels have no vacancies and it can be a frustrating time to travel through the country. First of all, don’t go to Tokyo and Kyoto. 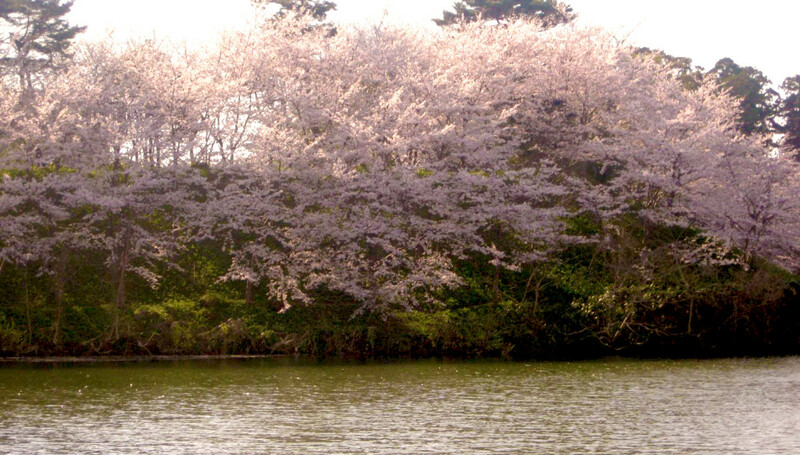 The cherry blossoms bloom across the entire island, and some of the most exquisite flowers and parks aren’t even in the former and modern capital. Save some cash and find some large and spacious rooms out in the beautiful countryside. Like Niigata. 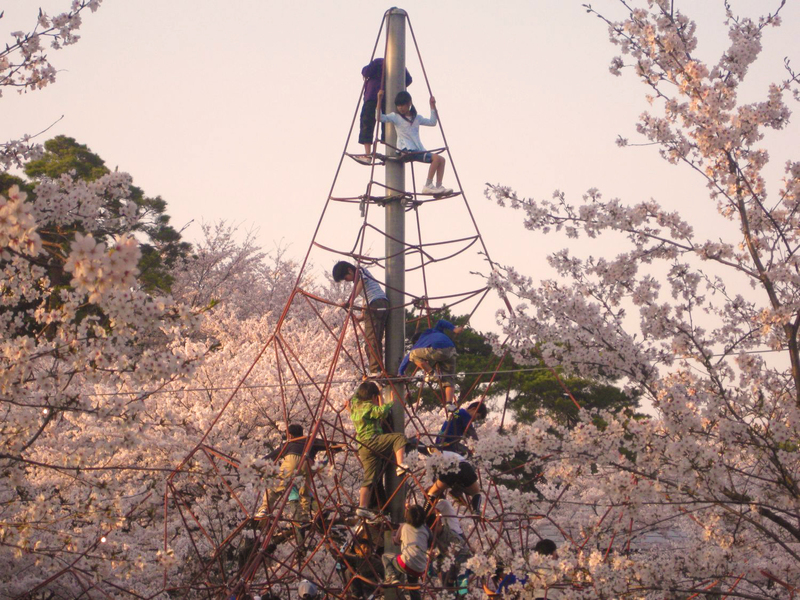 Takada Park is actually ranked as one of the top ten ‘hanami’ parks in Japan. It’s only a short two hour bullet train ride from Tokyo and, believe me, there is much more to see than the cherry blossoms alone. Sado Island is one of the most beautiful and remote locations in Japan, and it’s only a one hour ferry ride from Takada Park. They also host a bonanza Taiko-a-thon called the Earth Celebration, since Sado is home to the most famous taiko players in the world: Kodo. Plus, the new Hokuriku Bullet Train line officially opened on March 17th. Now it’s easier than ever before to go to Joetsu City–just hop on the train! On the way, you can also stop for some other amazing sightseeing spots in Nagano prefecture. The countryside (aka not Tokyo and Kyoto) are the best places to experience the ‘real’ Japan–and most of all, see cherry blossoms without the crowds and hassle. So beautiful! But if I go to Japan I want to go when it is not crowded, haha! Haha yeah definitely, but believe me, the crowds of Japan are much easier to handle than those in China! The second best time to visit Japan is in the fall, and while it’s still a wee bit crowded it’s not as bad as spring (plus, the fall leaves are even more beautiful IMO!). Hope you and C can make it to Japan soon! Haha you’re so close to Japan, Lani! You’re almost there! It’s definitely a ‘bucket-list’ item. No doubt about that! Just gorgeous. It’s actually making me homesick for the cherry blossoms in Washington D.C.! Awwwww!! I bet the ones in DC are super pretty! Are they near the white house? I heard that LA has a cherry blossom festival as well, but I have a feeling that it’s not going to be as stunning as Japan or even DC… ha. Beautiful photos. Is the book Yukiguni itself any good? Yukiguni is a very Japanese book, in the sense that nothing really happens and there is no ‘purpose’ to the book, other than telling a story, evoking emotions, and sensing the seasons. I remember it being depressing, and it’s about some businessman from Tokyo having an affair in Niigata (go figure). I think the writing itself is lovely, and for that alone is worth the read. It’s a super short book too, only 300 pages or so? I really dislike depressing books but if is written beautifully I must give it a try. Thanks! Yes. Norwegian Wood is a classic. So beautiful! I never went anywhere special to see them in Korea, but I loved how they lined the streets of pretty much every neighborhood. I’d love to go to Japan in the spring sometime! Ah that’s right, Korea has them too! I wonder if they’re about the same? 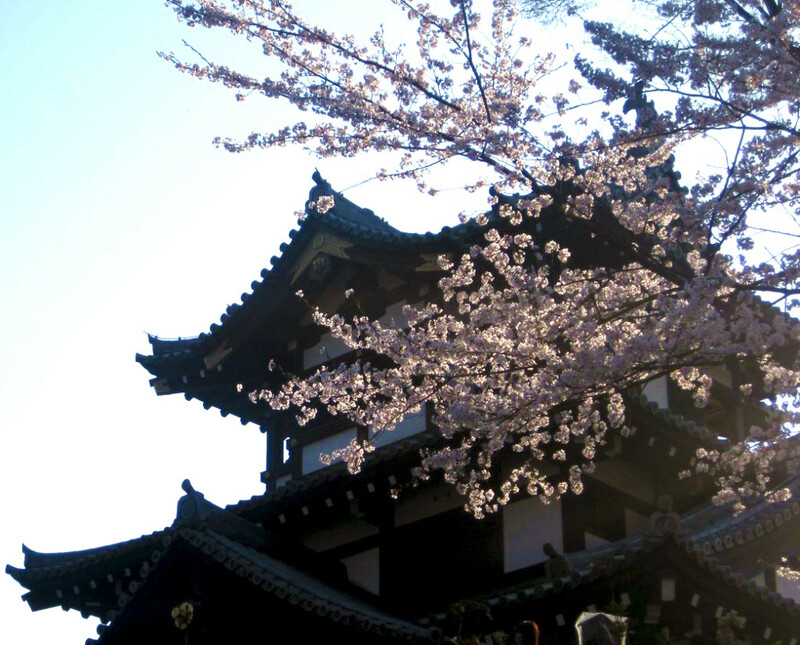 There’s just something about cherry blossoms in Japan, it’s definitely a must. That is so beautiful! I definitely need to visit Niigata someday. Hi Fernanda! I’m very touched by your comment, thank you so so much! I checked my FB and didn’t receive any message–was it a private message? Feel free to contact me at therubyronin@outlook.com I’m happy to hear from you! Just sent you an email! Thank you for your attention. That looks truly incredibly beautiful. Thank you so much for sharing it. I went to Japan last year but it was the end of May and unfortunately I missed the cherry blossoms. I really hope I will have a chance to go back during the right period of the year! I love your blog marghini, it’s so amazing!! Yeah the cherry blossoms are a must, but it’s hard because April is undoubtedly the most expensive time to go. Where did you go in May? I went to Tokyo, Kyoto, Osaka and Mount Fuji. Oh I loved it! On my blog I actually published a post with some of the pics I took during that trip, in case you are curious! It is called “Japan Diaries”. Anyway I am already plotting my way back because I just loved Japan too much! So pretty! My company is sending me to Tokyo sometime soon, for a four-week stay. Alas, it will be far too late in the year (most likely June) to see the cherry blossoms.